Seroquel (Quetiapine) was approved for market in the United States in 1997 to treat schizophrenia and bipolar disorder, it has been prescribed by doctors – at the suggestion of Seroquel pharmaceutical representatives – for many other conditions such as depression, attention deficit disorder (ADHD), obsessive-compulsive disorder (OCD), and post-traumatic stress disorder (PTSD) – all conditions for which there are drugs other than Seroquel that have been approved by the FDA specifically for that condition. Seroquel has also been linked to heart disease, seizures, blindness, coma and death. Study from as far back as 2002 provided evidence that patients taking drugs in Seroquel’s class had 3.34 times as many cases of diabetes as those on older antipsychotic drugs. In September 2003, the FDA responded by requiring labeling stating that Seroquel users are at heightened risk of contracting type 2 diabetes. The Seroquel diabetes lawsuits that have been filed around the country have alleged that Seroquel’s manufacturer, AstraZeneca, was aware that Seroquel caused a high occurrence of diabetes, but failed to adequately warn doctors or patients of the risk. Interestingly, the label for Seroquel in Japan is far more expansive, providing a detailed warning about the risk of type 2 diabetes with Seroquel and specifically informing doctors of the need to monitor Seroquel patients. The Japanese label also indicates that Seroquel is contraindicated for use in patients with diabetes or a history of diabetes. Because Seroquel increases the risk that its users will develop diabetes and diabetes related symptoms and illnesses, Plaintiffs’ lawyers in the class action lawsuit involving Seroquel have sought, in addition to other damages, to set up a medical monitoring fund for Seroquel patients to be tested for diabetes and other blood sugar disorders. What Is the Scientific Theory Supporting the Link Between Diabetes and Seroquel? There are a number of theories as to specifically why Seroquel causes diabetes. One theory is that diabetes might result from the weight gain that can be caused by Seroquel. There are also studies suggesting that Seroquel affects glucose transport metabolism peripherally in patients, possibly increasing the potential for hyperinsulinemia and peripheral insulin resistance. Some have also theorized that the activity of atypical antipsychotic drugs like Seroquel at the serotonin receptors of the beta cells in the pancreas might derange the beta cell function, resulting in higher glucose levels. 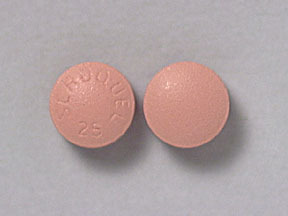 Seroquel (often misspelled by doctors and patients as Seraquel or Serequel) has also been associated with acute pancreatitis. Pancreatitis is dangerous inflammation of the pancreas. Pancreatitis runs the gambit of symptoms: it can present a mild illness with no significant consequences or it can cause multiple organ failure with circulatory collapse. In the pancreatitis lawsuits, plaintiffs’ lawyers allege that AstraZeneca failed to perform reasonable tests, inspections, drug trials and evaluations concerning the safety of Seroquel and that proper testing would have made clear that it poses a significant risk of pancreatitis. Specifically, plaintiffs’ lawyers allege that “AstraZeneca had a duty to exercise reasonable care in the design, manufacture, sale, and distribution of the drug, Seroquel, including a duty to assure that the product did not cause users to suffer from unreasonable, dangerous side effects when used alone or in foreseeable combination with other drugs." The Seroquel lawsuit also alleges that Seroquel aggressively marketed for use in patients with anxiety, depression or ADHD that were beyond its FDA-approved indications. Plaintiffs’ lawyers also contend that AstraZeneca offered incentives to doctors and other health care providers to increase Seroquel prescriptions (they didn’t reach $3.0 billion in sales on schizophrenics alone, that is for sure). Most of these cases have settled. Our law firm does not handle Seroquel cases.